With summer finally hitting its stride and Independence Day around the corner, many families celebrate the season with cookouts and fireworks. Summer is also the time when homeowners take time to work on construction projects using potentially dangerous or flammable materials. With the summer heat, it is even more important to consider fire safety. However, many homeowners fail to consider if their garage is constructed and organized to prevent potentially devastating garage fires. According to the U.S. Fire Administration, 6,600 garage fires resulted in a total of $457 million in property losses. Garage fires are especially destructive because they are less frequently detected than traditional house fires and can spread even more quickly. 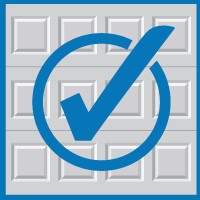 Make sure to consider the following tips when checking to see if you’ve taken necessary precaution to prevent a garage fire this summer. Oil, gasoline, and paints are commonplace in many garages and all of these liquids are flammable. If possible, they should be stored away in a backyard shed or anywhere not connected to your house. If the garage is your only option, make sure to store them in small, sealed amounts, away from any appliances, heaters, or lights. Make sure each is clearly labeled. After a long day of work, we typically leave our appliances plugged in overnight to charge. When charging, make sure to only plug one appliance into each outlet. Additionally, never use an extension cord when charging an appliance as it can increase the risk of an electrical fire in your garage. Garages can often end up as a storage place for the items we don’t keep in our houses. Trash, boxes, and containers filled with clutter can often serve as kindling in a garage fire. It is important to remove unnecessary clutter from your garage a few times a year for this reason. Use shelving units to organize your belongings and try to keep clutter away from outlets or flammable materials. Do not forget to clear out dust and cobwebs from your garage regularly as they can interfere with electrical systems. Finally, ensure that you have equipped your garage with the proper heat detectors. Garages should not have traditional smoke detectors installed because they can respond to humidity, fumes, and insects found within a garage. Instead, you should have a heat alarm installed and rated to 175-250 degrees Fahrenheit, which responds to the flames of a fire, rather than the smoke. We hope these fire prevention tips will help you keep your garage safe throughout the year. However, if you’ve experienced fire damage to your garage, Blue Sky Builders can help you through the process of fixing and/or reconstructing your garage. Contact us for a free consultation to see how we can help. Or call us at 630-852-8485.